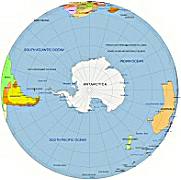 Editable royalty-free map of North and South Pole map in vector-graphic online store. 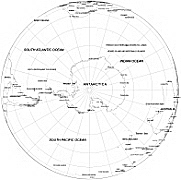 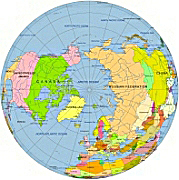 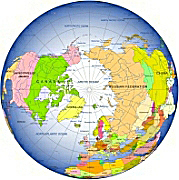 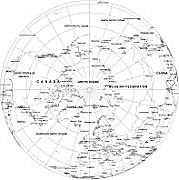 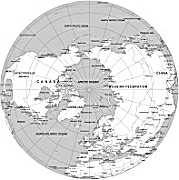 The northernmost point on the earth`s surface is the geographic North Pole.It`s located at 90° North latitude and all lines of longitude converge at the pole.The Geographic South Pole is located on the continent of Antarctica. 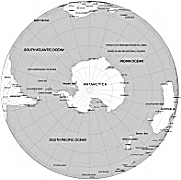 It sits atop an icy plateau at an altitude of 2,835 meters (9,306 ft), about 800 miles (1,300km) from the nearest sea at McMurdo Sound. 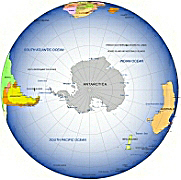 The ice is estimated to be about 2,700 meters (9,000 ft) thick at the Pole, so the land surface under the ice sheet is actually near sea level.